According to research architect Brandon Creighton, with application security provider Veracode, “At the end of the day, you’re installing a device that is really just a tiny computer.” Even with something as simple as a smart light socket that you can control remotely with your phone, what makes that possible is the little computer in the switch that can talk to the Internet—which means that Internet users can talk back. In a recent study, HP found many home-security systems vulnerable to eavesdropping. What’s a homeowner to do? While it’s practically impossible to stop a determined professional hacker, there are steps you can take to at least make their task more difficult, and to discourage the simpler attacks. Think of these seven steps as the connected home equivalent of putting locks on your windows or stopping your newspaper delivery while you’re on vacation. 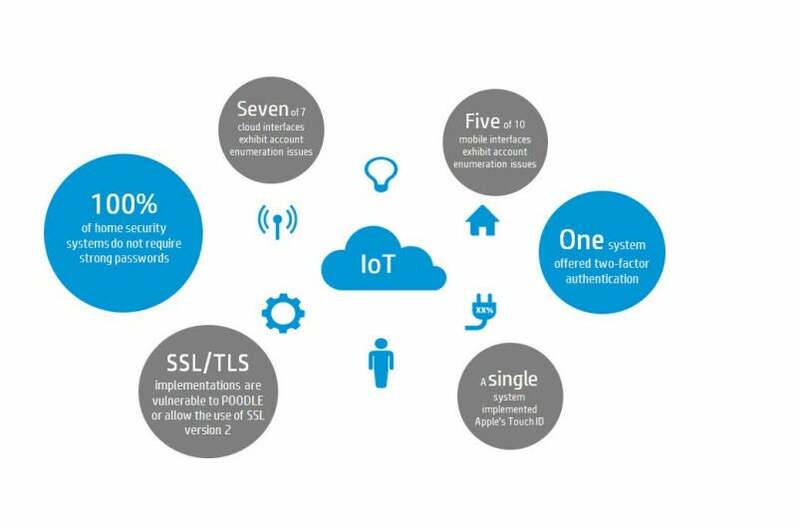 Daniel Miessler, practice principal at HP Fortify On Demand, HP’s managed security testing solution, led the research behind the security study. “Understand the sensors that are at play on the device,” said Miessler. “So, for example, does your TV have a camera that’s facing out? Where is it facing—the entire living room? The bedroom?” Whenever you deploy something with sensors in your home, you’re raising your risk of unauthorized access. “In our recent report,” Miessler continued, “the scariest thing was being able to remotely monitor homes, basically including their video cameras. Because it was security systems that we tested, 10 out of 10 had this problem—it wasn’t just watching the camera, it was also knowing when you’re home and when you’re not.” Whatever further steps you take to secure your home will rely on understanding what holes you’re trying to plug; for example, by making sure any cameras are pointed only at the specific areas you’re concerned about. 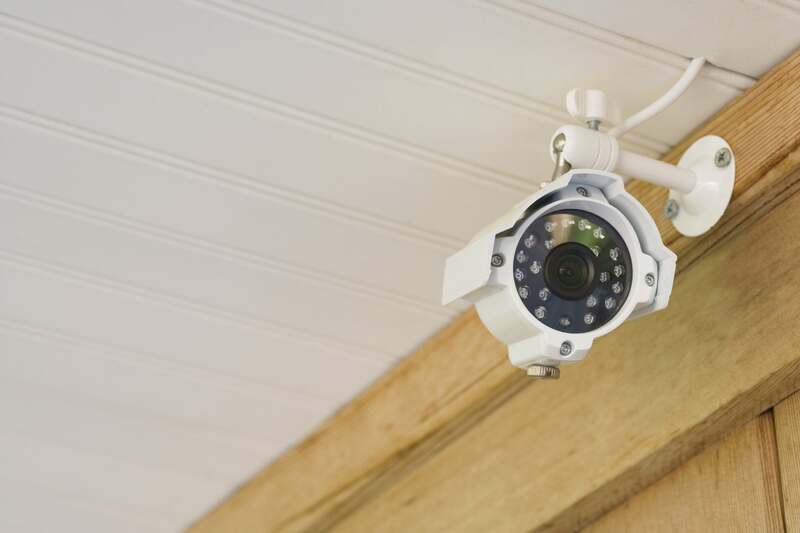 Security cameras can help secure your home, but it's critical that you secure the cameras themselves when you set them up. If you simply set up your devices with their default configurations, an attacker could use those two tools to find them and learn their passwords. You need to change the default passwords—and, if the device allows it, use a strong password with upper and lower case letters, numbers, and symbols. “We’ve seen that vendors can ship their products in an insecure configuration, but they will have built better security into the tool—you just have to go in and configure it,” Miessler said. Creighton points out that “a lot of modern wireless routers allow you to set up multiple access points off the same device. It definitely couldn’t hurt to have one that’s dedicated for your home automation system, your TV connection—everything but your computers and or phones.” Give that network a separate password, so that if someone manages to steal your network password from your laptop, they won’t also get access to your connected-home devices. 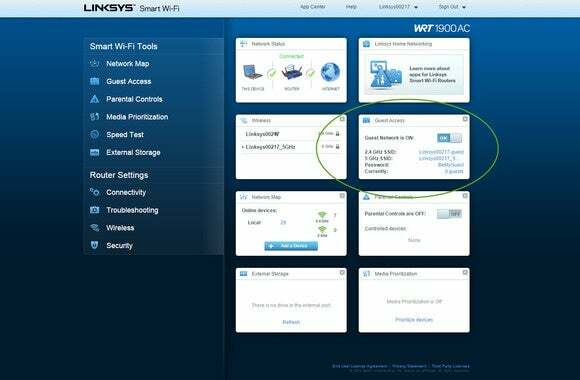 A router that enables you to run a guest network, such as the Linksys WRT1900AC, enables you to accomodate your guests' needs for Internet access without leaving the rest of your network vulnerable. Miessler agreed that network segmentation is an important step. “When you deploy any sort of technology in the home,” he says, “think about what network it is on and how it relates to the other devices in the home.” Consumer devices like routers, at least middle- to high-end ones, can segment multiple networks. “You can have a guest network and an internal network, and even determine which ones are wireless and which ones aren’t,” Miessler continues. If your router doesn’t have that capability, you could also use a second router to create a separate network. This isn’t a strong deterrent for skilled hackers, however. “This simple step can be easily done by everybody. Although it is not really effective to protect your network, it could at least help discourage some rookie hackers,” Hu says. Creighton agrees. “There’s no real way to make your network invisible,” he says, “all you can do is turn off the broadcast of its name.” There are tools available for viewing Wi-Fi traffic, and an attacker could find your network by using such tools. 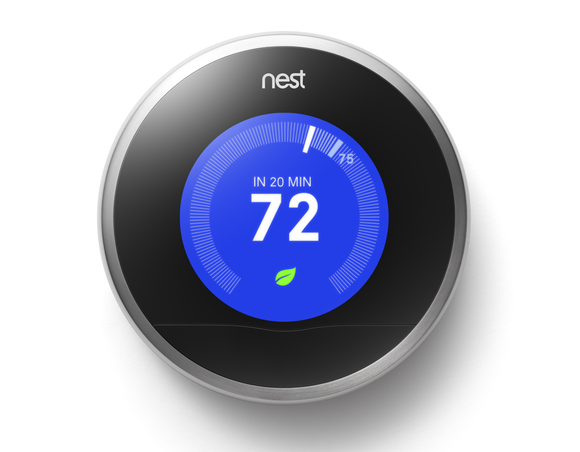 Connected-home devices with USB ports, including the Nest Learning Thermostat, can be vulnerable to security breaches if an unscrupulous person gains physical acess to them. If there’s a discrepancy between the total for the building reported by the meters and that recorded at the utility, they’ll send someone out to check. “But if the sum of your and your neighbor’s meters is the same as the actual usage, from the utility side they won’t observe anything,” Hu says. Even if you trust the provider themselves, remember that it has all the information about when you’re turning lights on or when you’ve set your thermostat to be cold—information that could be used to build a profile about when you’re home. Be aware of the risks entailed in a compromise of that server. 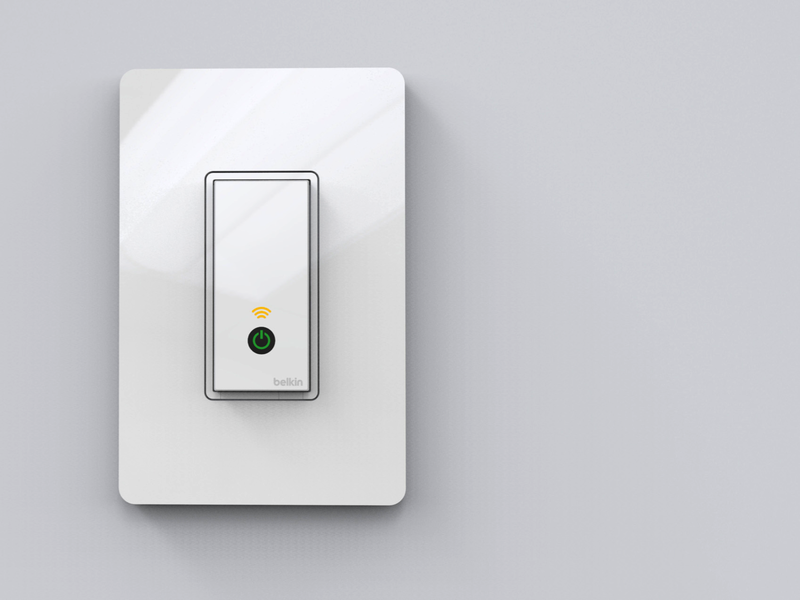 Smart light switches, such as the WeMo switch, are controlled via the Internet. A compromised third-party server will leave you vulnerable. Similarly, smart devices often provide a Web-based method of remote access. “If so, it’s best if you only turn that functionality on when you actually need it, rather than leaving it on all the time,” says Creighton. For example, you might not need to monitor your house as closely when you’re at work as when you’re on vacation. Furthermore, treat your connected home system like your bank’s website or other sensitive portal—don’t leave the remote access open on a shared computer. “Maybe you’re traveling and you left your laptop at home and you’re at an Internet cafe,” Creighton says. “That’s not a safe place to access your bank account—or your home remote control video camera.” If your remote access is on your phone, make sure your phone is secured with a password and then require a second password to log into your home-security system. Needing to log in twice is an inconvenience, but it gives you two layers of security should you lose your phone. Once again, these aren’t foolproof methods that can guarantee your connected home’s security. There really aren’t any. “If a professional hacker really wants to hack a smart home,” says Hu, “then it would be very difficult to protect. The devices are becoming interconnected and increasingly smarter, which just means that they have more functionalities and are more vulnerable.” But there are basic steps within the technological reach of the average user that can help deter the unskilled hacker. 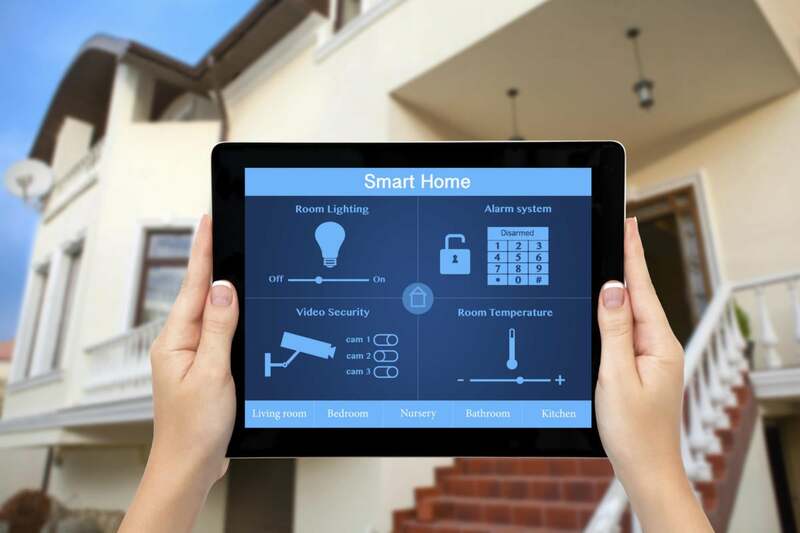 This story, "How to keep your connected home safe: 7 steps you can take to boost home security" was originally published by TechHive.